bia bistrot is a couple run restaurant, Roisin & Matthias Llorente are the chefs behind the stove, where we guarantee you to be as true as possible to our ethos : fresh-seasonal-local-sustainable-homemade. Roisin is Irish with Scottish parents, Matthias is French with Spanish heritage, and we met in Edinburgh in 2000. Since then Roisin has worked for Derry Clarke in Dublin, Emmanuel Stroobant in Singapore, Michael Deane & Niall Mc Kenna in Belfast, Gordon Ramsay New York. Matthias has worked for Philippe Chevrier in Geneva, Jean Michel Poulot in Dublin, Emmanuel Stroobant in Singapore, Gordon Ramsay New York. 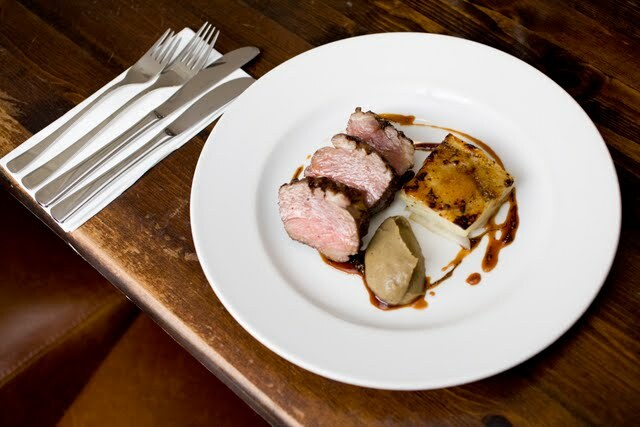 bia is Irish Gaelic for food, bistrot is the French way of spelling bistro. 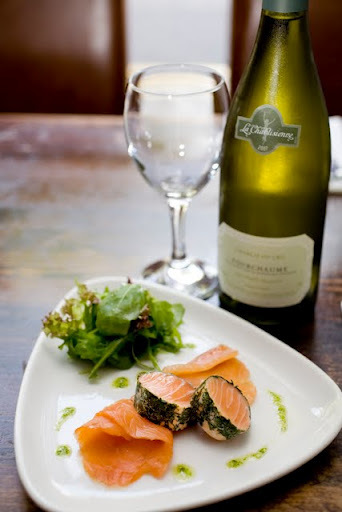 It sums up what we want to provide our customers: bistro atmosphere and good food. Great tasting food and lovely service - we will definitely be back! As always fabulous food and service at a great price. I had lunch - 2 courses for £10. The soup then salmon and cod gratin was delicious and so filling I couldn't manage a pudding. Bia-bistro is consistently good. Service was excellent. The menu was a bit limited but the dishes were beautifully presented and delicious. I would definitely recommend for a lunch visit. 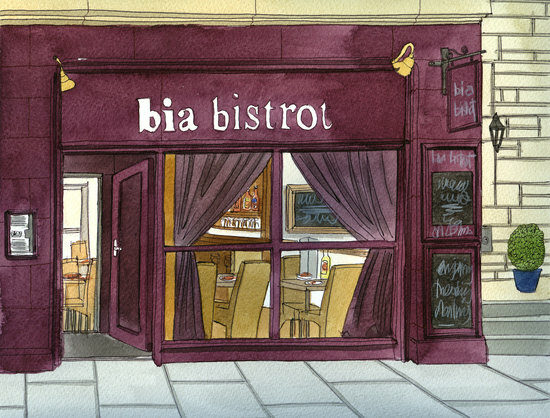 We had a very enjoyable meal at Bia Bistrot. Good food. Friendly and efficient service. Cosy atmosphere. 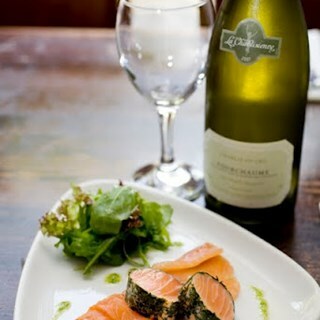 We would definitely recommend Bia Bistrot to others. 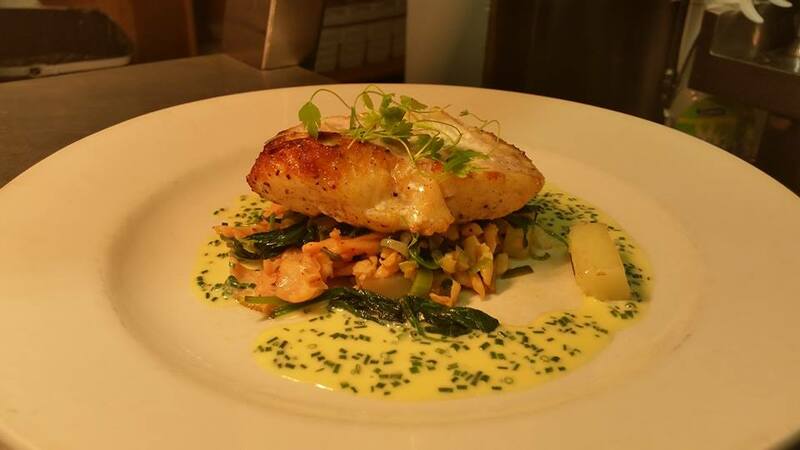 Excellent quality ingredients and a varied menu. Authentic and wholesome. Excellent lunch again with very professional and friendly service. Casual ambience, with attentive service and lovely food. Delicious food - consistent as ever. A wide choice without it taking you half the evening to read through the menu. As always the food and service was first class. Edinburgh appears to have more than it’s fair share of good restaurants so the choice can be overwhelming . 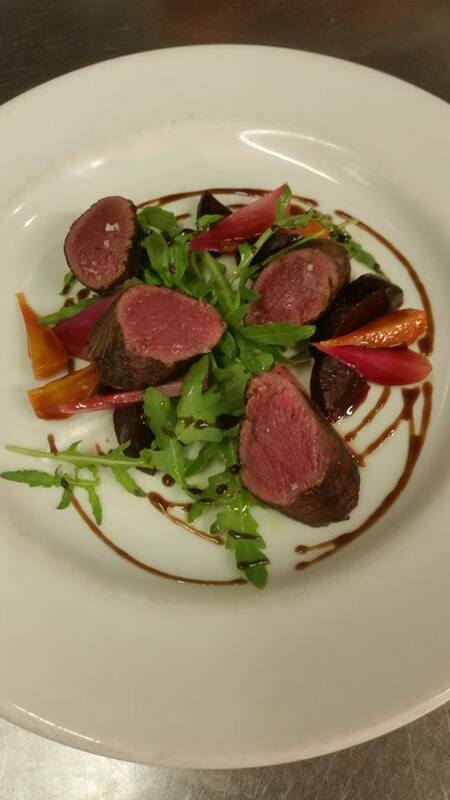 However Bia Bistro has never let us down, excellent food, good atmosphere, always a very comfortable and enjoyable experience, hardly surprising given the experience of all involved, which is apparent throughout. It’s location is ideal for a slow saunter down into the city centre, stopping off for a nightcap, whilst  taking in the atmosphere of a vibrant city particularly during during the summer long Edinburgh Festival. Sadly this was my last week working in Edinburgh, so I had to visit one of favourite restaurants in Edinburgh, the food was as ever delicious and interesting, the wine was good and the service was excellent. The Bia Bistrot is a gem! Had our usual lovely dining experience at the Bistro. As always the welcome, service, cuisine and wine were fantastic. The 5 at my table had a whale of a time, even the vegetarians  among them. An excellent visit to Bia Bistrot, long overdue but our next visit will not be far off. My wife and I selected mains from the specials board and they were both outstanding. Lamb, roasted veg and mint sauce which I hadn't had in a while so I appreciated it all the more. Excellent red wine accompaniment. Superb service, friendly and efficient. Best dining out experience for ages. Actually, we should not, ideally, be forced to offer comments! A really great find that we'll keep coming back to. 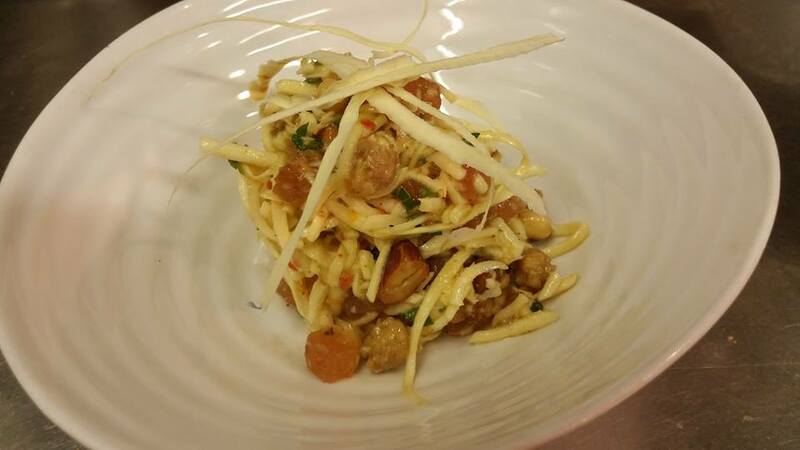 I love the atmosphere, food choice and tastes that the chef brings together on a great menu. Three of us had a substantial lunch with wine for less than £80 with great service as always - what more could you ask for? On a busy Saturday we were running  late for our booking but it wasn't a problem. Our  table was held for us. This was a lunch  with my Mum  who has mobility issues so we had a perfect table. I thought the service in particular was great but the lunch is amazing value for money. Not my first visit and definitely not my last.